John Riley reviews the Samyang XP 50mm f/1.2 full-frame manual focus lens for Canon Digital SLRs. For full frame 35mm-format cameras, the standard lens is something around the 50mm mark. This gives a natural perspective similar to that perceived by the human eye. It also happens to be the lens that was supplied with almost every 35mm film camera, until the standard zoom took over. Here Samyang has reinvented the ultra fast version of the 50mm lens, with a massive, bright f/1.2 aperture to whet our appetites. 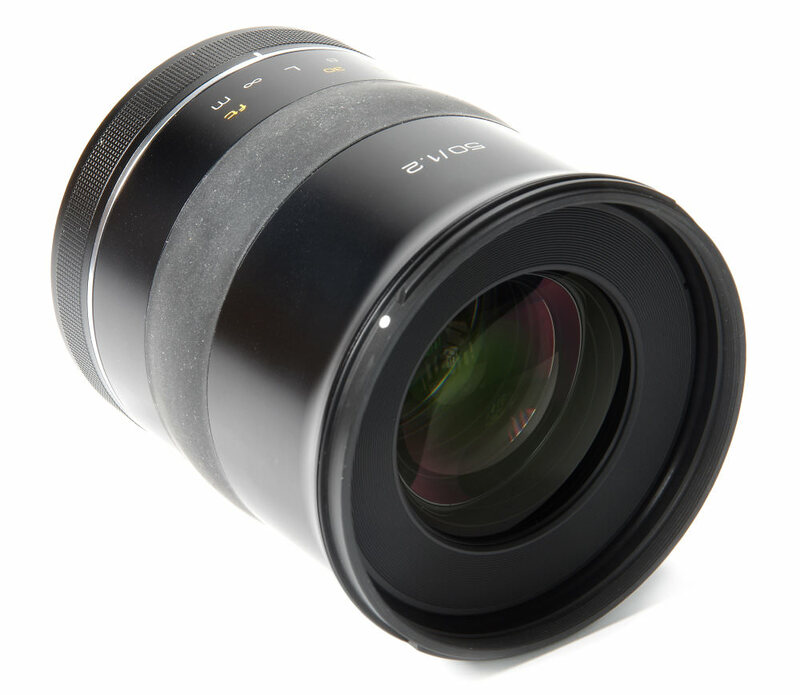 In style not dissimilar to the appearance of modern Zeiss lenses, can this XP (ExPert or Excellence in Performance) manual focus lens reach the same heights of quality as the Zeiss lenses that it seems to aspire to? Let's find out. This is a massive lens, weighing in at a very substantial 1200g. 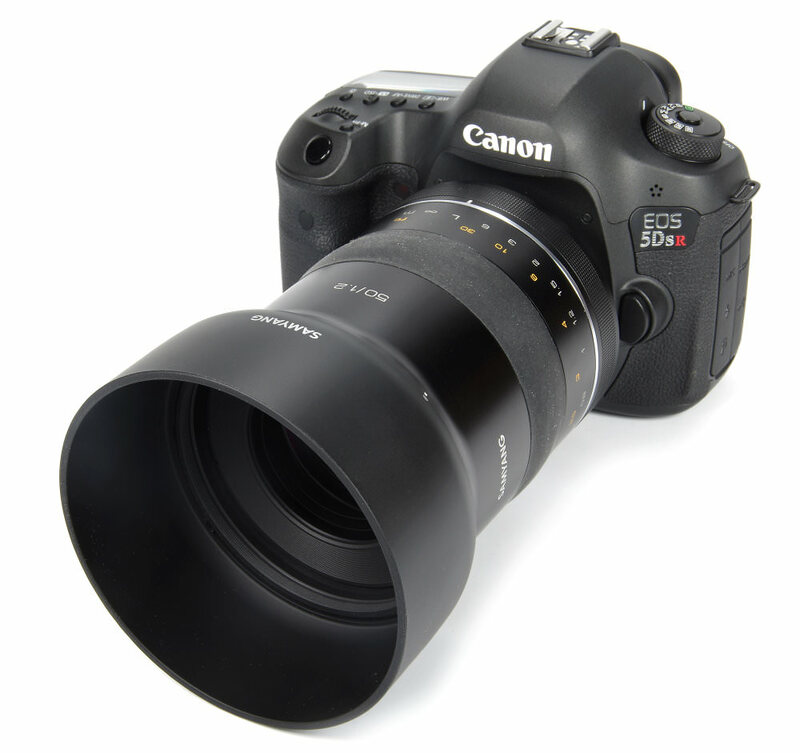 There is no doubt that this is a very hefty option for a manual focus 50mm lens. 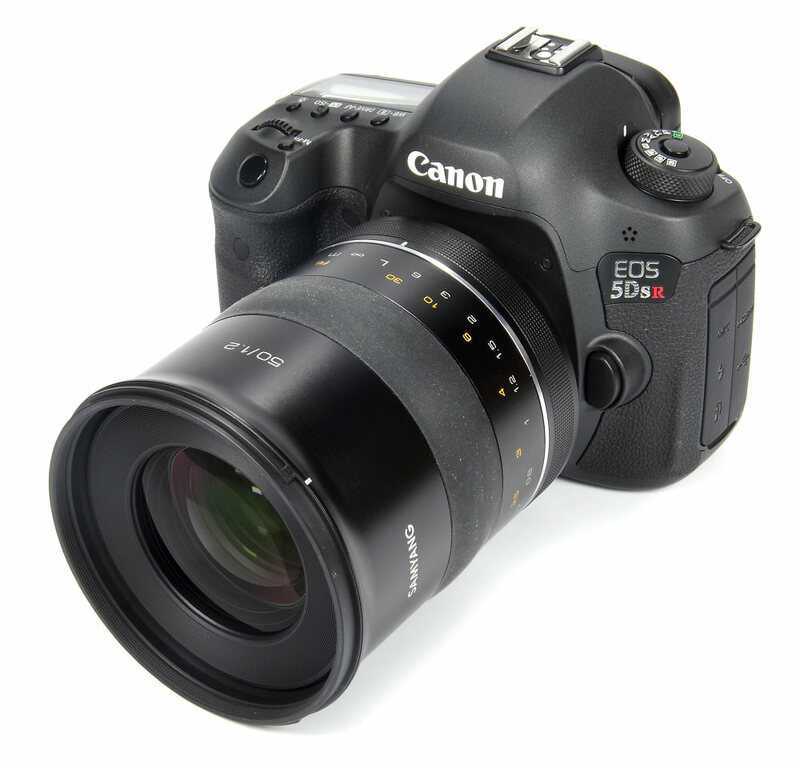 Nonetheless, it looks good and balances well of the Canon EOS 5DS R used for this review. This 50MP camera body is a good match for the lens, which has been designed with such a pixel count in mind, as well as the demands of 8K video. The appearance does seem to be Zeiss inspired, with its smooth contours and minimalistic approach. Unfortunately, the design of the rubberised focusing rings also emulates the rather dust prone nature of the Zeiss lenses. Starting our tour of the lens at the front, a large round lens hood bayonets firmly into position. Within this is a traditional 86mm filter thread. The click stop on the hood is very tight, but no doubt this will become easier with the passage of time. The only other adornment is the aforementioned rubber focusing ring. Prone to dust maybe but in terms of function it is utterly smooth. The focusing ring moves the inner barrel of the lens outwards, but the outer barrel remains the same length. The front element does not rotate, so the use of polarising and graduated filters is made much easier. The distance scale, marked in feet and metres, is very clear, but it does highlight the absence of a depth of field scale. There is plenty of room on the barrel for such a scale, and it is a pity it has not been included. Focusing is down to a conventional 1.48 feet or 0.45m. This gives a maximum magnification of 0.17x. The optical construction is 11 elements in 8 groups, with one aspherical and one HR (High Refractive Index) in the formulation. The lens uses UMC Ultra Multicoating and the diaphragm comprises 9 rounded blades. 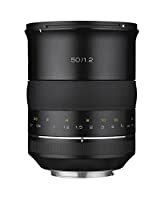 A 50mm lens is a very versatile tool, being able to be used on almost any subject and also capable of good performance even when optically abused with, for example, filters and close up devices. The f/1.2 aperture may well have advantages in low light, but it does make manual focusing quite tricky in that there is so little depth of field and the slightest turn of the focusing ring can alter the point of focus. Of course, stopped down any slight errors may well be covered by depth of field as with any other lens. However, using a tripod and any focusing aids on the camera does pay dividends as we pursue the crispest images. With a lens designed with 50MP camera bodies in mind, we would expect a high level of performance. Central sharpness delivers this in style, starting off being very good at f/1.2. Sharpness then becomes excellent from f/2 through the f/11, before falling back slightly to very good at f/16. The edges exactly follow the pattern of the centre, being very good at f/1.2, excellent from f/2 to f/11 and very good at f/16. This is a very impressive and even performance. CA (Chromatic Aberration) is is also impressive, with central measurements being around two tenths of a pixel. The edges are slightly less well controlled, but still deliver impressively low figures. If required, this could be further reduced using software. 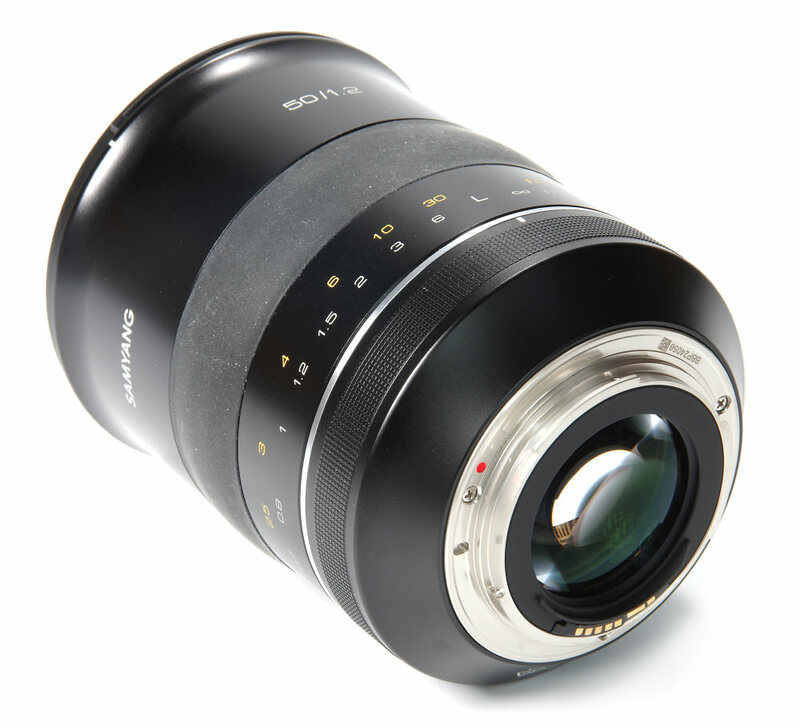 A fast 50mm lens would be expected to show some barrel distortion and the Samyang measures -1.57%. This is a good performance and there were no real signs of CA in the sample pictures. There are also software solutions. Flare does not seem to be a problem, backlight causing no reduction in contrast. Bokeh, the smoothness and gradation of the out of focus areas in an image, is an important consideration and the Samyang offers a very pleasant and smooth look. Overall, a very high standard of performance and a lens that can deliver the goods with the largest pixel count sensors. 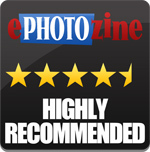 For more options have a look at the Top 21 Best Samyang Lenses or the Top 23 Best 50mm Standard Lenses. Thanks for the write-up. I am wondering what is the real difference in terms of light-gathering capability between f/1.2 and f/1.4. Could you please take a photo (manual exposure) at f/1.2 and then another one at f/1.4, setting the shutter speed 1/3 stop slower? Preferably frame and focus it in such a way that the effect of background blur can be assessed. The night shot (one of the three f/1.2 shots) is out of focus - presumably it's pretty much impossible to focus this thing by naked eye (and there's no other way with this lens) at night via viewfinder. This seems pretty much a tripod/life-view lens. Which kinds of makes its f/1.2 aperture pointless. (Not to mention, who wants to lug this thing around to shoot in available light - presumably the justification for its going down to f/1.2?) But an interesting exercise in lens design never the less... I don't think you can hold the fact of it being for Canon EF only as a "con" of the lens, because the other mounts probably wouldn't accommodate the design. Thanks for the write-up. I am wondering what is the real difference in terms of light-gathering capability between f/1.2 and f/1.4. Could you please take a photo (manual exposure) at f/1.2 and then another one at f/1.4, setting the shutter speed 1/3 stop slower? Preferably frame and focus it in such a way that the effect of background blur can be assessed. I don't think you can hold the fact of it being for Canon EF only as a "con" of the lens, because the other mounts probably wouldn't accommodate the design. You make some good points, and yes, it is very difficult to nail the focus at f/1.2 hand held at night. The night shot was the best of half a dozen or so attempts in the freezing cold, after which my arm was for giving up! But the quality when it's spot on is, as said, exemplary. Unfortunately the lens has now gone back so further shots are not possible at the moment. You make some good points, and yes, it is very difficult to nail the focus at f/1.2 hand held at night. The night shot was the best of half a dozen or so attempts in the freezing cold, after which my arm was for giving up! But the quality when it's spot on is, as said, exemplary. Unfortunately the lens has now gone back so further shots are not possible at the moment.